Rebellion is adding a Strange Brigade photo mode and Extreme difficulty level as part of the next free update. Due out on Monday the 26th November, the update also introduces two brand-new score attack levels and another Horde map. 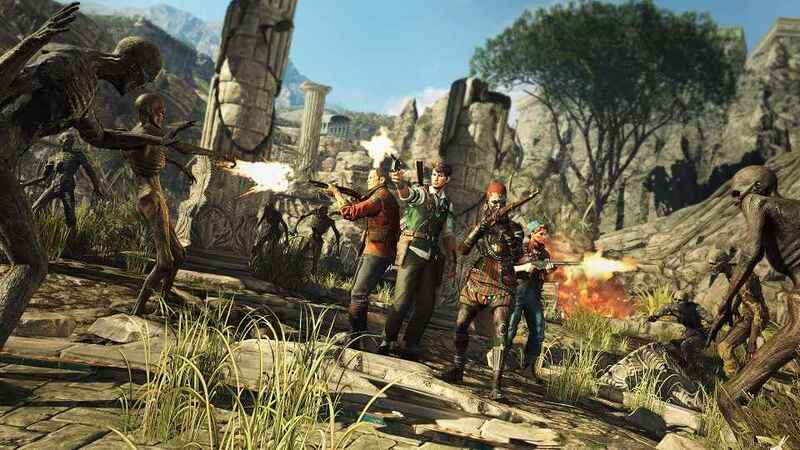 A “nefarious new difficulty level for the Strange Brigade story campaign”, Extreme mode is designed to encourage players to think carefully before entering combat. Picking their moments and using the environment to their advantage in order to bring down their now even more formidable foes. Extreme difficulty isn’t something that should be approached lightly, in other words. Alongside the game’s new difficulty mode, and the undisputed highlight of the update in our opinion, is photo mode. You all know the drill now; with photo mode, players are able to pause the action mid-fight and take a few choice snaps of the picturesque, old-timey environments and procession of supernatural enemies. Using the various filters, sliders, and sundry other features on offer to create the perfect composition. It even lets you turn your pics into classic movie posters, if you so desire. In other news, only a day after the release of the next free update, Strange Brigade will receive the third and final chapter in The Thrice Damned DLC expansion – Thrice Damned III: Great Pyramid of Bes. While a brand-new hero, Anjali Khan, will release alongside the DLC on the 27th November via the latest character expansion pack. Developed by Rebellion, Strange Brigade released last summer on PS4, Xbox One, and PC. Receiving a respectable 7.5/10 from PSU’s Laddie Simco, who described it as a “flawed but entertaining game” that’s well deserving of your attention in her comprehensive, spoiler-free review.